The Visible Legacy "Search Box" is a compact interactive search element for Departmental, Profile, and Licensing Office and fundraising Development websites. Try it out! The Search Box links to the search results of the topic in the Visible Legacy Navigator website. Then use Navigator to explore. Visit Getting to Know Visible Legacy Search to learn more. 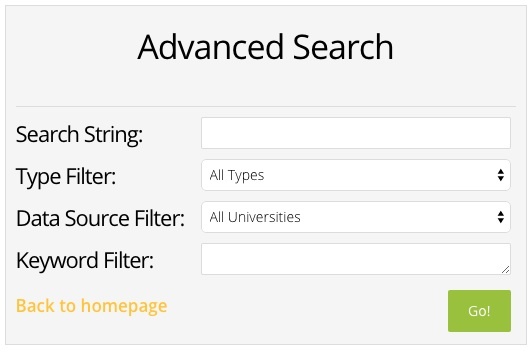 The Search Box version can be easily inserted into web pages and sized with embed code. See our Documentation Page for more. Our Widgets are also an embeddable element. See the Widgets Page for more. A Search Box can be added to your site to help your users find innovations fast.